It's the most wonderful time of the year. Christmas is all around us. We are in the grips of Jingle Bells and Rudolph's red nose at the moment. So it is only apt that I try and capture a little bit of that festive spirit for this week's School Run Colours. I am also linking up to The Prompt with my Christmas haiku. I would love it if you added the School Run Colours badge to your post, and if you followed me on twitter (@vaichin). 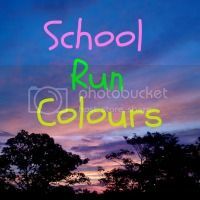 Please use the hashtag #SchoolRunColours on social media, so we can spread the word. I will be pinning all linked up posts to my Pinterest board School Run Colours. It would be great if you could follow the board too. So let's link up, comment, share and spread the love. Wishing you and yours a happy xmas! I am looking forward to a break fro the school runs for a couple of weeks I have to admit! Merry Christmas to you too. 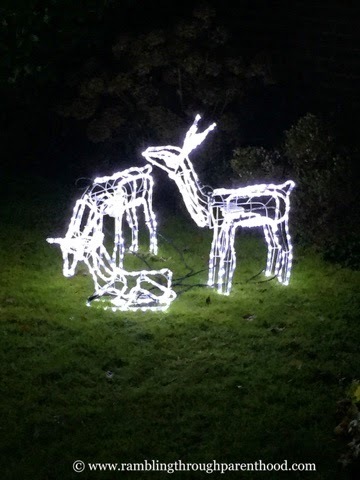 We are loving seeing all the lights around at the moment too. Looking forward to having a break from the school run myself. Have a merry Christmas. We live the colours of Christmas. Have a lovely holiday with your family. I can't wait for tomorrow, last school run for two weeks....bliss! How lovely! The school runs must be really special during this time! Love those sparkling lights - I love this about Christmas, everything lit up and cheerful! I love all the twinkling lights that decorate so many homes at this time of year. I hope you had a lovely Christmas.